Select the products you want us to demonstrate and then submit the form. 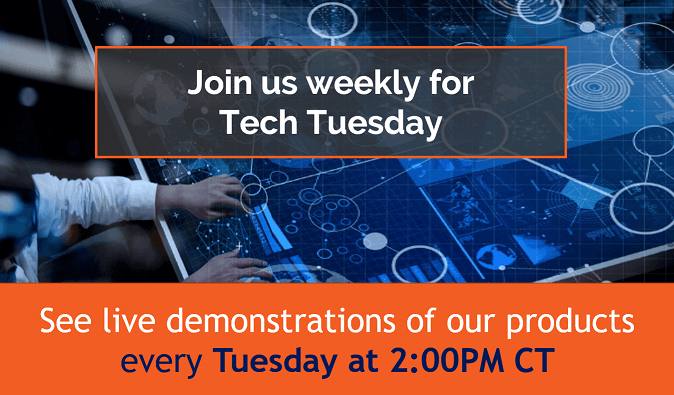 Please note: our demos are scheduled at least one week out and will execute within 2 weeks on a Tech Tuesday. You'll receive a calendar invite with a specific date and time upon form submission approval. Scroll down to submit the form.